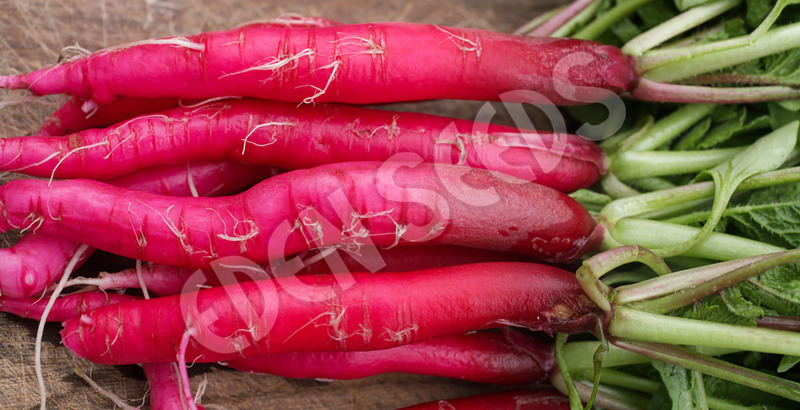 Long smooth skinned red root to 150mm, strong flavour. Read more on growing Radish here. Widespread in ancient times, said to originate from China and Japan. Matures quickly. Likes rich soil. Keep well watered. 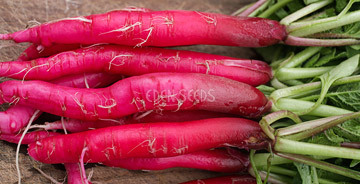 Grow fresh crisp radish any time, will withstand light frost.